Below you fill find all funeral homes and cemeteries in or near Blue Springs. Suburbs of Blue Springs: Lake Tapawingo, Lake Tapwingo, LS, Unity Village. Blue Springs is also known as: Jackson County / Blue Springs city. Their current mayor is Mayor Carson Ross. Zip codes in the city: 64013, 64014, 64015, 64029, 64064. Some of the notable people born here have been: Ladell Betts (american football player), and Bryan Pratt (lawyer). It was written on February 10th, 2019 that Bonnie Elizabeth Edwards (White) perished in Blue Springs, Missouri. Ms. Edwards was 68 years old and was born in Amesbury, MA. Send flowers to share your condolences and honor Bonnie Elizabeth's life. It was written on May 3rd, 2018 that Shirley Ann Hessler passed on in Blue Springs, Missouri. Hessler was 59 years old and was born in Calamus, IA. Send flowers to express your sorrow and honor Shirley Ann's life. It was reported on March 17th, 2018 that Martha Andrea Cadwallader passed on in Blue Springs, Missouri. Cadwallader was 76 years old. Send flowers to express your sympathy and honor Martha Andrea's life. It was disclosed on March 1st, 2018 that Raymond Francis Lonowski perished in Blue Springs, Missouri. Lonowski was 74 years old and was born in Chicago, IL. Send flowers to express your sympathy and honor Raymond Francis's life. It was written on October 18th, 2017 that Douglas Lee Woolums perished in Blue Springs, Missouri. Woolums was 57 years old and was born in Muncie, IN. Send flowers to express your sympathy and honor Douglas Lee's life. It was reported on September 2nd, 2017 that Dale Dewayne Moyer perished in Blue Springs, Missouri. Moyer was 59 years old and was born in Hutchinson, KS. Send flowers to share your condolences and honor Dale Dewayne's life. It was reported on August 13th, 2017 that Robert Edwood Lamb passed away in Blue Springs, Missouri. Lamb was 80 years old and was born in Queens, NY. Send flowers to express your sorrow and honor Robert Edwood's life. It was written on July 26th, 2017 that Lee Norman McMahan died in Blue Springs, Missouri. McMahan was 75 years old and was born in Topeka, KS. Send flowers to share your condolences and honor Lee Norman's life. It was written on July 23rd, 2017 that Richard J Nedwed perished in Blue Springs, Missouri. Nedwed was 83 years old. Send flowers to share your condolences and honor Richard J's life. It was revealed by Orange County Register on May 28th, 2017 that Lorene Elizabeth Frazier (Chapman) perished in La Habra, California. Ms. Frazier was 89 years old and was born in Blue Springs, MO. Send flowers to express your sympathy and honor Lorene Elizabeth's life. The population was estimated at 53,885 in 2006. 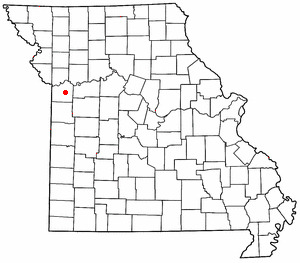 Blue Springs is a city in Jackson County, Missouri County, Missouri and is a Satellite town city of Kansas City, Missouri. . . . The official website for the city of Blue Springs is http://www.bluespringsgov.com. Zakkarya Newbrough of Mexico, Mo. Gwynivere Newbrough of Huntsville, Hailey Newbrough of Blue Springs and Wyatt Newbrough of Moberly ... Services will be Thursday at 11 a.m. at the Cater Funeral Home Chapel with interment in Memorial Park Cemetery. Funerals in Blue Springs, MO on Yahoo! Local Get Ratings & Reviews on Funerals with Photos, Maps, Driving Directions and more. Find BBB Accredited Funeral Services near Blue Springs, MO - your guide to trusted Blue Springs, MO Funeral Services, recommended and BBB Accredited businesses. Find a Funeral Home inBlue Springs, Missouri MO to provide the caring burial and ceremonial services your family deserves. We work with local florists and flower shops to offer same day delivery. You will find budget sympathy flowers in Blue Springs here. Our funeral flowers are cheap in price but not in value.